One of the richest men in Brazil has sacrificed £130,000 in a bid to appease the Queen of the Sea and change his disastrous fate. Eike Batista fell victim to one of the largest personal and financial collapses in corporate history. In 2012 Batista had a net worth of $30bn and he was the seventh wealthiest person in the world. Just 18 months later his wealth plummeted to $20m because of debt and his company’s falling stock prices. It's now believed his net worth is -$1bn. As reported by online news websites, Batista sought the advice of a medium that advised him to make a ritualistic sacrifice to appease the Queen of the Sea and restore his good fortune. “Most of his recent business explorations were connected to the ocean and you cannot remove ore from the earth without thanking and giving back,” the medium warned. Batista chartered a yacht for the ritual, placing 700,000 Brazilian reais into a small vessel decorated with other small offerings. One of the richest men in Brazil has sacrificed £130,000 in a bid to appease the Queen of the Sea and change his disastrous fate. Eike Batista fell victim to one of the largest personal and financial collapses in corporate history. In 2012 Batista had a net worth of $30bn and he was the seventh wealthiest person in the world. Just 18 months later his wealth plummeted to $20m because of debt and his company’s falling stock prices. It's now believed his net worth is -$1bn. As reported by online news websites, Batista sought the advice of a medium that advised him to make a ritualistic sacrifice to appease the Queen of the Sea and restore his good fortune. “Most of his recent business explorations were connected to the ocean and you cannot remove ore from the earth without thanking and giving back,” the medium warned. Batista chartered a yacht for the ritual, placing 700,000 Brazilian reais into a small vessel decorated with other small offerings. News broke in 2015 that a Scottish town banned bananas in preparation for a traditional boat festival because bananas are considered bad luck on boats. 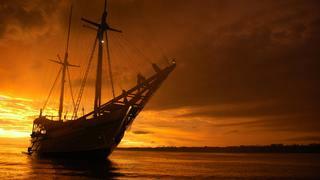 This sailing superstition dates back hundreds of years in seafaring history. There are numerous stories how this sailor superstition started, one being that boats carrying bananas in the Caribbean in 1700s had to sail swiftly to arrive in port before they ripened, and therefore were moving too fast to catch fish. Others suggest it's because bananas make other fruits ripen too quickly, forcing supplies go off too soon. Bananas are still often banned on some sportfishing yachts today. 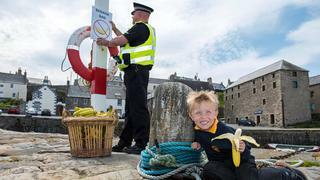 News broke in 2015 that a Scottish town banned bananas in preparation for a traditional boat festival because bananas are considered bad luck on boats. This sailing superstition dates back hundreds of years in seafaring history. There are numerous stories how this sailor superstition started, one being that boats carrying bananas in the Caribbean in 1700s had to sail swiftly to arrive in port before they ripened, and therefore were moving too fast to catch fish. Others suggest it's because bananas make other fruits ripen too quickly, forcing supplies go off too soon. Bananas are still often banned on some sportfishing yachts today. Obviously this rule does not apply to the superyacht sphere, where renamings happen at a head-spinning rate each time a there is a yacht sale. But in the smaller boat sector, it is considered very bad luck indeed to rename your new vessel. As legend goes, every vessel name is recorded in the Ledger of the Deep, kept by the God of the Sea Poseidon, also known as Neptune. In order to change a yacht’s name, it must be stricken from the record, which involves destroying every trace of the boat’s current name – from burgee to anything monogrammed with your yachts name. To ignore this legend is to risk a terrible fate, such as getting struck by lightening, sinking or worse. Another way around changing the name is to keep a portion of the name, but some sailors are superstitious enough to think this is still temping the fates. Obviously this rule does not apply to the superyacht sphere, where renamings happen at a head-spinning rate each time a there is a yacht sale. But in the smaller boat sector, it is considered very bad luck indeed to rename your new vessel. As legend goes, every vessel name is recorded in the Ledger of the Deep, kept by the God of the Sea Poseidon, also known as Neptune. In order to change a yacht’s name, it must be stricken from the record, which involves destroying every trace of the boat’s current name – from burgee to anything monogrammed with your yachts name. To ignore this legend is to risk a terrible fate, such as getting struck by lightening, sinking or worse. Another way around changing the name is to keep a portion of the name, but some sailors are superstitious enough to think this is still temping the fates. While black cats might get a bad rap on land – don’t you dare cross their path – this sailors' superstition sees felines in a more favourable light. 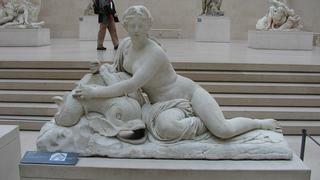 British and Irish sailors were known to adopt a “ship’s cat” as it would bring the boat good luck. Cats on ships were believed to have superpowers and be able to predict the weather. But beyond being a lucky charm, they served practical purposes, hunting stowaway rodents and being great companions to the sailors as well. Even more lucky? Polydactyl cats, those born with more than five toes – also known as Hemingway cats as the seafaring author had a multitude – who were thought to be able balance better at sea thanks to the extra toes. While black cats might get a bad rap on land – don’t you dare cross their path – this sailors' superstition sees felines in a more favourable light. 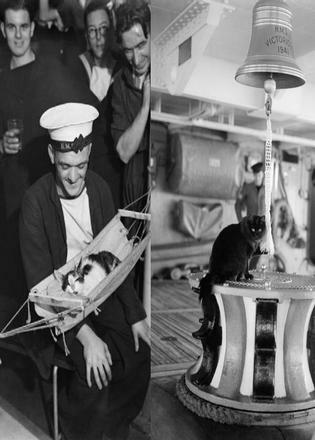 British and Irish sailors were known to adopt a “ship’s cat” as it would bring the boat good luck. Cats on ships were believed to have superpowers and be able to predict the weather. But beyond being a lucky charm, they served practical purposes, hunting stowaway rodents and being great companions to the sailors as well. Even more lucky? Polydactyl cats, those born with more than five toes – also known as Hemingway cats as the seafaring author had a multitude – who were thought to be able balance better at sea thanks to the extra toes. 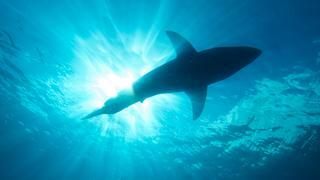 While sharks following a yacht can certainly be a scary sight – and perhaps a cause for real alarm proved by stories of sharks attacking boats – there is also a sailor superstition linked to these toothy swimmers. Apparently, sharks following a yacht were once considered a symbol of bad luck, thought to be warning of death, like the grim reaper of the sea. 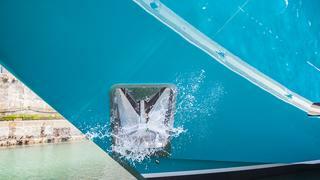 Today, women and superyachts go hand-in-hand, with women designing and owning some of the largest yachts in the world. This wasn’t always the case as women and yachts have had a very conflicted history. Some sailor superstitions saw women on boats as bad luck and banned them from coming on board. But, in perhaps an unsurprising sentiment, men considered a bare-chested woman to be good luck, which explains why so many yacht figureheads are women, which became popular in the 19th century, replacing the previous figurehead of a yacht’s owner or a ferocious animal. Yet more confusing, yachts are called "she", which is understood to pay homage to the sailors' mothers. Today, women and superyachts go hand-in-hand, with women designing and owning some of the largest yachts in the world. This wasn’t always the case as women and yachts have had a very conflicted history. Some sailor superstitions saw women on boats as bad luck and banned them from coming on board. But, in perhaps an unsurprising sentiment, men considered a bare-chested woman to be good luck, which explains why so many yacht figureheads are women, which became popular in the 19th century, replacing the previous figurehead of a yacht’s owner or a ferocious animal. Yet more confusing, yachts are called "she", which is understood to pay homage to the sailors' mothers. “Red sky at night, sailors' delight. Red sky at morning, sailors take warning," as the rhyme goes. It has been used for millennia as a forecasting tool to predict the weather. More than a sailors' superstition, some yachtsmen still take heed to Mother Nature's red-hued signals. Based on the reddish glow of the sky at morning or dusk, which is caused by hazy or cloudy skies, sailors believed they could tell what weather was coming their way. Red sky at night, sunlight must be able to cut clearly from the west without any cloudy hindrances, the legend goes, and good weather it will be. But if it’s red sky in the morning, clear skies in the east are letting sun break through, which assumes clouds are coming from the west instead and bad weather is on the way. “Red sky at night, sailors' delight. Red sky at morning, sailors take warning," as the rhyme goes. It has been used for millennia as a forecasting tool to predict the weather. More than a sailors' superstition, some yachtsmen still take heed to Mother Nature's red-hued signals. Based on the reddish glow of the sky at morning or dusk, which is caused by hazy or cloudy skies, sailors believed they could tell what weather was coming their way. Red sky at night, sunlight must be able to cut clearly from the west without any cloudy hindrances, the legend goes, and good weather it will be. But if it’s red sky in the morning, clear skies in the east are letting sun break through, which assumes clouds are coming from the west instead and bad weather is on the way. 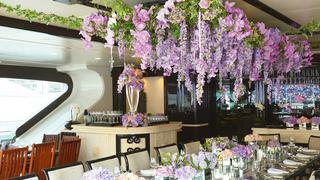 Who could think beautiful flowers displayed on your yacht is bad luck? Judging by superyachts of today, this is certainly a legend that hasn’t lived on. However, in the past, flowers were closely related with funerals and were, therefore, banned from ships. Superstitious sailors wouldn’t even let them on board as bon voyage gift; any petals that made it on a ship were quickly thrown overboard.